Would your child know what to do in certain situation to keep her safe? 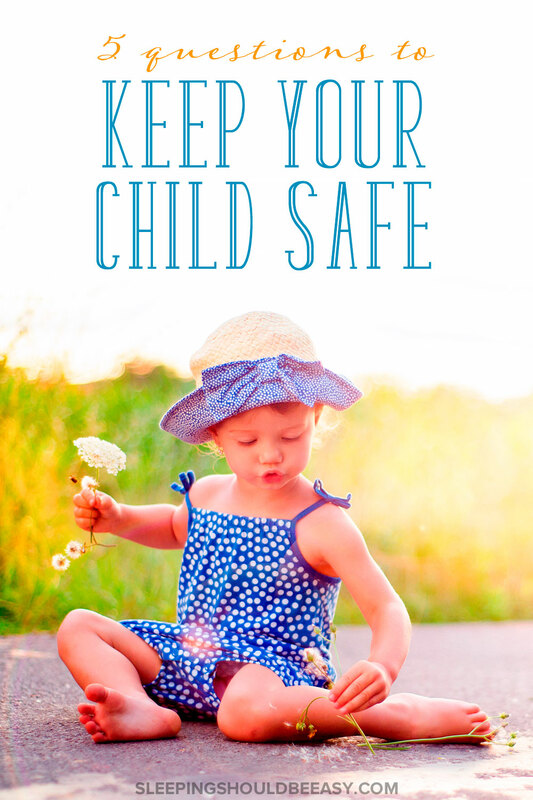 Learn the 5 important questions you need to ask to keep your child safe. My six-year-old and I were home in the afternoon. I was getting something in my bedroom while he stayed in the kitchen. Then I heard it—what I thought was the door opening and closing. “Did someone open the door?” I asked him when I came back. I usually lock the door but you never know sometimes. Just like that, I knew we had to talk. Because it’s easy to assume our kids would know what to do in certain situations. But asking outright is the only way to gauge how their minds are thinking and what they assume. The hypothetical delivery man luring him outside was an eye-opener for me. I explained he shouldn’t ever leave the house or go with anyone. No matter how nice they are or if they’re asking for help. I said he should tell me first if it’s important. I thought of other scenarios and questions I should ask my child, and I came up with these. We were at the grocery when I noticed my son wandering off. At one point, he was so distracted he started following another man, thinking he was his dad. Scary to think how kids can get lost, so I asked him what he would do if he got lost at the grocery. Not go with anyone, no matter what they say (“Your mom told me to take you to her”). Or who they are (even the mom can help him out without him having to go with her). A few of our readers told me a great suggestion about secrets. They’d said to differentiate between “secrets” and “surprises.” Don’t say, “Don’t tell daddy we’re having a birthday party for him—it’s a secret.” Say it’s a “surprise” instead. Your child shouldn’t keep secrets from you. She can have surprises for you, such as gifts she makes in school. But anyone who tells her to keep things a secret should be her telltale sign that she should tell you right away. At this age, my son knows all about private parts and that no one’s allowed to touch them at all. Unfortunately, child predators usually don’t go straight for the private parts. Instead, they groom kids. Sometimes it all starts with something innocent as a massage or a rough tickle-fest. It’s important to talk about private parts, but you should also discuss boundaries. Someone massaging your child too long can be inappropriate. Same goes for anything that seems awkward or crossing the line. An adult asking her to kiss him for a long time. Tickling when she’s had enough. Read 3 reasons your child doesn’t have to hug everyone. Here in California, earthquake safety is high on the list. 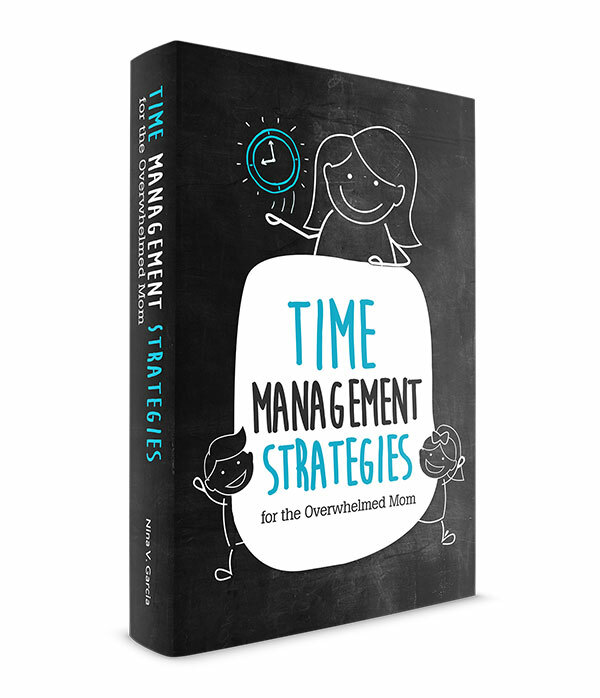 You can substitute other scenarios that need quick thinking on your child’s part. I’ve asked my son what he’d do in an earthquake, and thanks to talking about it, he knows what to do. We point out the safest places in a particular room to duck under (the dining room table, or next to his bed). We also review what to do while it’s going on, and the next steps after the earthquake has finished. I don’t mean to scare him. They’re hypothetical but likely scenarios I want to talk about to make them seem normal. I know he’ll feel scared if a big one hits, but at least it won’t be the first time he knows about it. This was the question I asked my son that day when I wondered what he’d do in that situation. Unfortunately, child predators aren’t those creepy looking strangers lurking in the dark. They’re the friendly guy who tries to earn your trust. While I’m all about being friendly, you can’t assume everyone has good intentions, either. The best thing for your child to do is to go to you and stay put. If she can’t, she should yell as loud as she can. And no one should force her to do anything or go anywhere without you. Read 7 smart ways to protect your child from predators. The good news is that it’s unlikely a delivery man will lure my kids out of our home. They probably won’t get lost at the grocery, and the earthquakes we’ve had have all been mild. Still. Best to talk with your child, especially as you see the opportunity to talk about it. Ask her questions to gauge what she’s thinking. Then, correct her hypothetical responses if they’re not the safest. It’s scary to think our kids would be in these situations. And sadly, nothing can guarantee against all harm. But she can be better prepared because you’ve planted the seeds of what to do should anything happen. Should Parents Post Pictures of Their Naked Kids Online? Tell me in the comments: What other scenarios could you think of to ask your child? What safety questions have you discussed? I hate these conversations, but they’re so, so important. It’s terrible to think about! My oldest is six too, and I can honestly say I’m not sure what she’d do. She went to a camp called “Safety Village” – a two week camp in town. And she learned so much there, but I wonder if she retained it. She used to quote it to me verbatim! Besides that, though, it’s nice to have a plan set forth by family. Wow what a cool concept for a camp! Probably one of the most practical camps lol. I’m sure that helps, or at least starts the conversation so it’s not so foreign. The world is a scary place and these questions you ask are really good. I remember J getting lost at Target when I took my eyes off him and he had the good luck to ask a “team member” for help and remember my first name so she could page me. So yea, we’ve had the “what if you’re lost in a store” conversation. We tell him not to leave the store either. We don’t have earthquakes here, so we’ve gone over what to do if there’s a fire (meeting spot outside). We’ve talked about tornadoes too since J is fascinated by them. Wow Lisa that’s pretty cool of him to identify a team member and page you! And what a relief. Though I can only imagine what a heart attack you must’ve had during those moments! Eek I would’ve been a mess. I hate that we have to have these types of conversations with our babies. But we HAVE to. As my babies have got older our conversations have become more serious, and it makes me sad because this is our world. I probably started having these conversations earlier than most parents, because of my own childhood. When I was younger I had a friend get kidnapped, she’s gone. She was never found. That has totally impacted my life. Dean! That is so terrible. It’s so scary and makes you not want to take your eyes away from your kids at all. But yes, it makes such an impact to equip them with survival skills. I believe it’s extremely important to talk about these things. My son is super friendly to strangers. There were so many times he would open the gate on his own when a delivery man or someone comes to our house. Just a few weeks ago when we were at the airport, I had to run to buy a bottle of water and I was so tired of the 4-hour flight delay that my super clumsy self left him where he was seated. I was running like crazy to get back to where he was and realized I shouldn’t have left him there. Hmmff. Thankfully, he sat still where I left him. Oh how scary! I know what you mean. The other week, I was having pizza with my boys when I realized I should also buy lemonade. It was so hard to have to get them up, line up, buy the drink all while leaving our food on the table. But you never know these days! I remember one time at the grocery when I was little and I hugged the wrong person’s leg thinking it was my mother. It was definitely a ‘scared straight’ kind of moment. These are the hard conversations to have sometimes, but so important. Oh crazy! My husband told me that he has seen my son absentmindedly following another man he must’ve assumed was him. So even if you think your kid can recognize or follow you, sometimes they zone out and follow the wrong guy (images of Home Alone 2 in the beginning where Kevin follows someone he thinks is his dad are coming to mind lol).